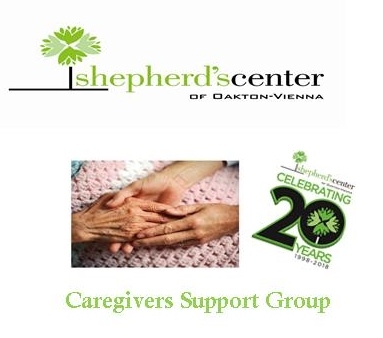 CAREGIVERS SUPPORT GROUP: The Shepherd’s Center of Oakton-Vienna (SCOV) hosts a support group for caregivers of adult family members with dementia the first and third Thursdays of each month. The facilitated meetings are from 10 to 11:30 a.m. at the Unitarian Universalist Congregation of Fairfax, Program Building, 2709 Hunter Mill Rd., Oakton, VA 22124. Come any time in that period. Contact a facilitator, Jack Tarr, atjtarr5@verizon.net or see the SCOV web site: www.scov.org. SCOV support group meetings are FREE.